Thank you for taking the time to visit our website! 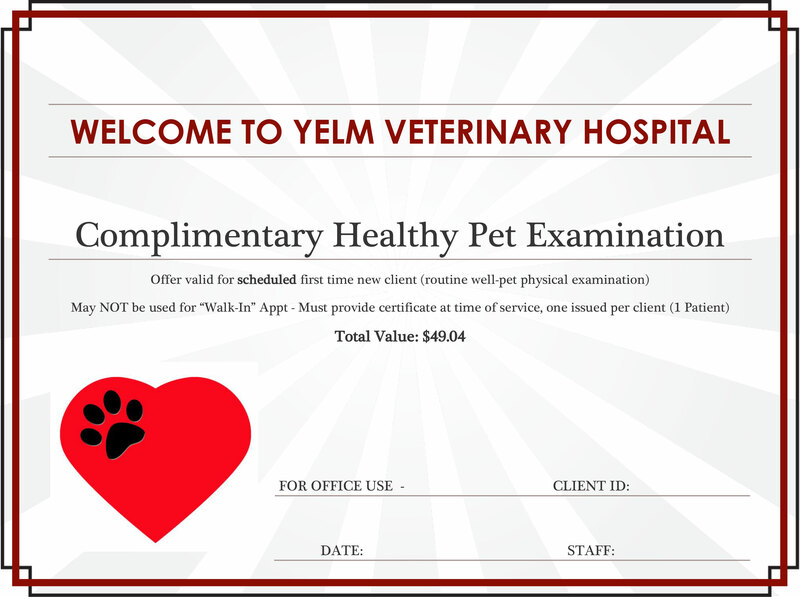 We at Yelm Veterinary Hospital would like to extend this offer to you as a new client to our practice. Please click the special offer link below and bring it with you for a complimentary office call on your first visit! We appreciate you choosing us to provide care for your four-legged family member.